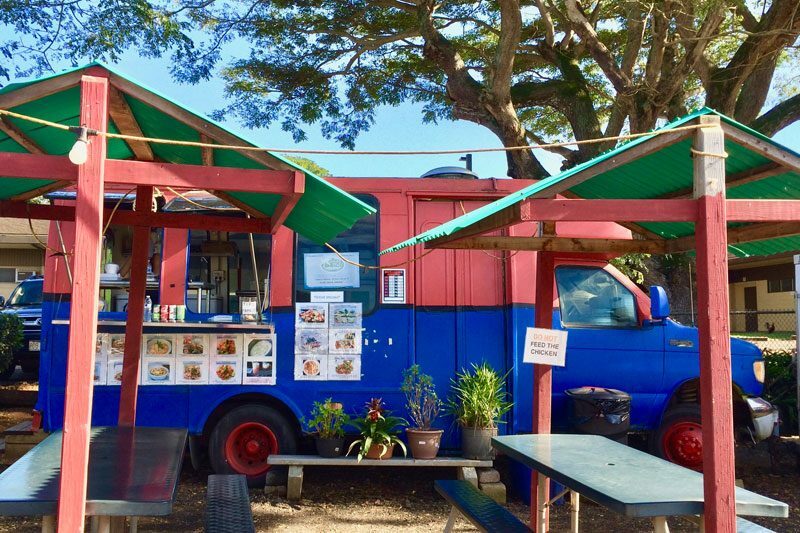 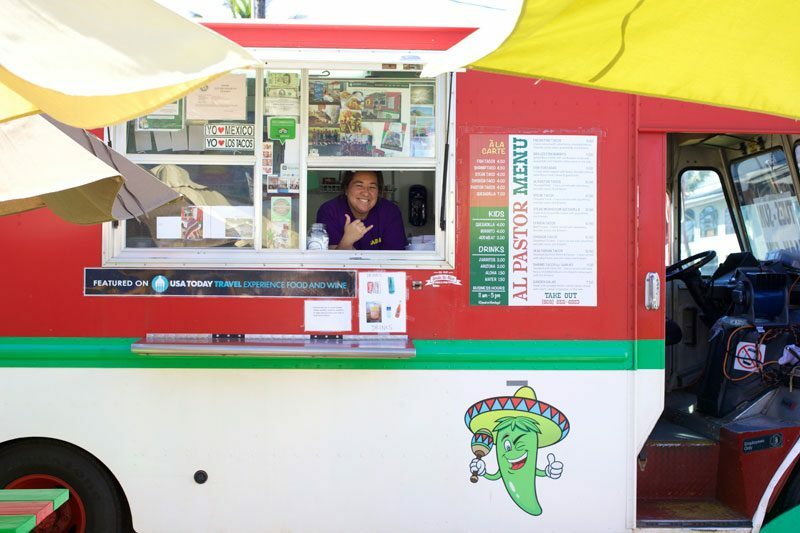 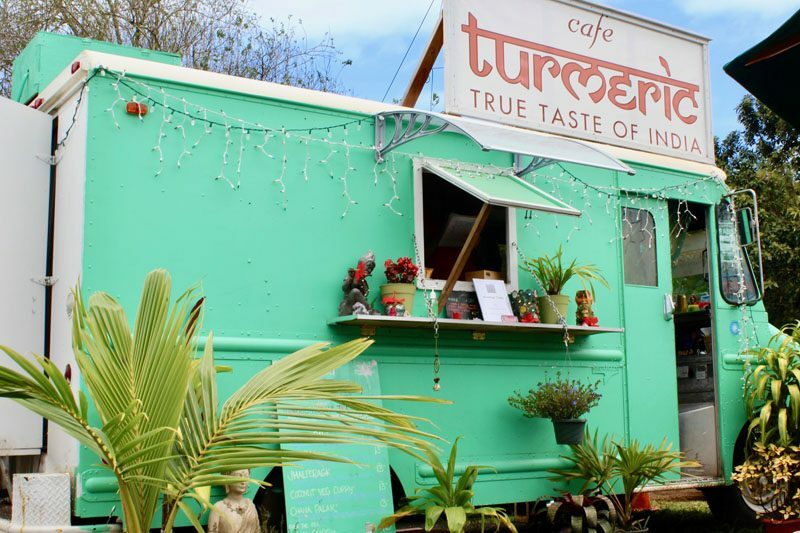 Best Kauai Food Trucks Directory | Hanalei Taro & Juice Co. 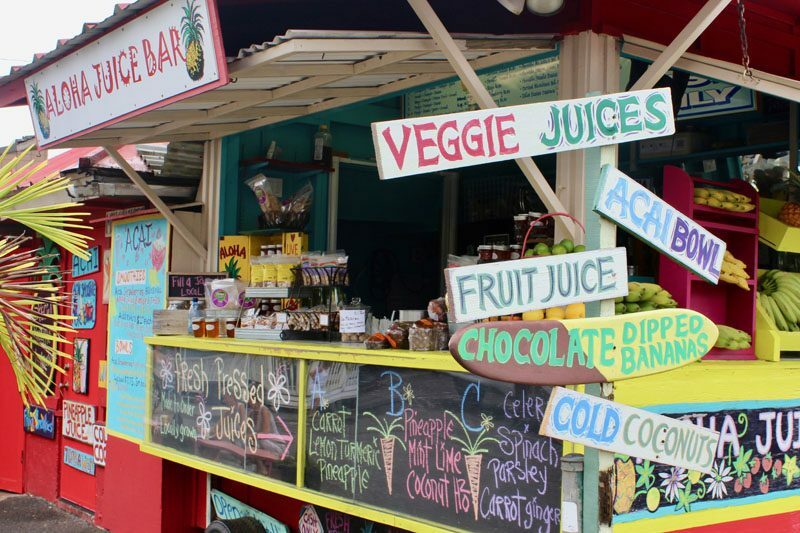 Serving farm fresh Taro products from a 6-generation family farm in Hanalei. 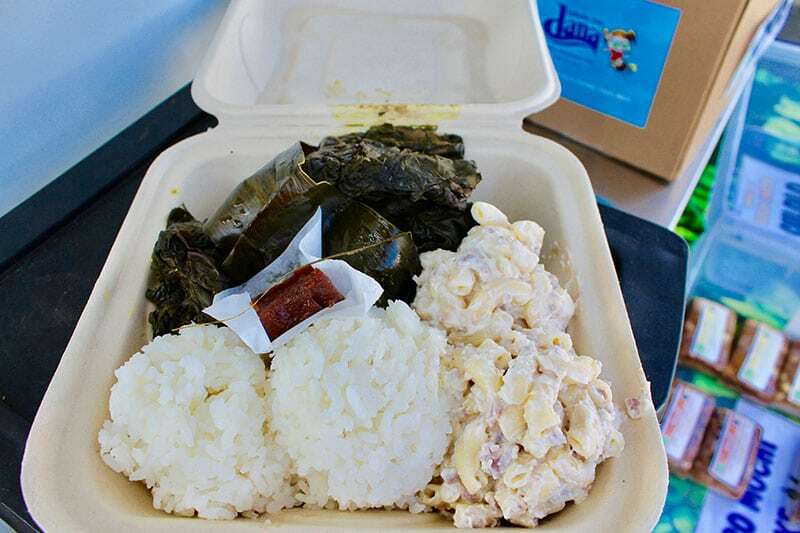 The menu features authentic Hawaiian food such as chicken and pork laulau, kalua pig, poi, lomi salmon, and kulolo (Hawaiian Taro Pudding). 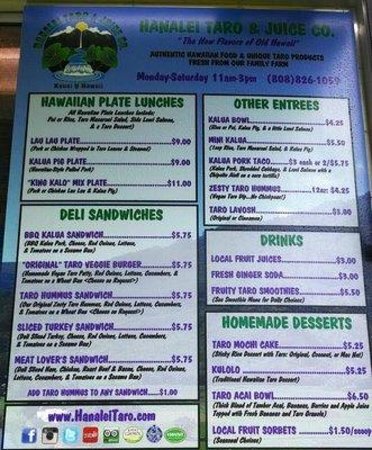 Daily specials can include items like roast pork with gravy, shoyu chicken, furikake baked fish, and kalua tacos. 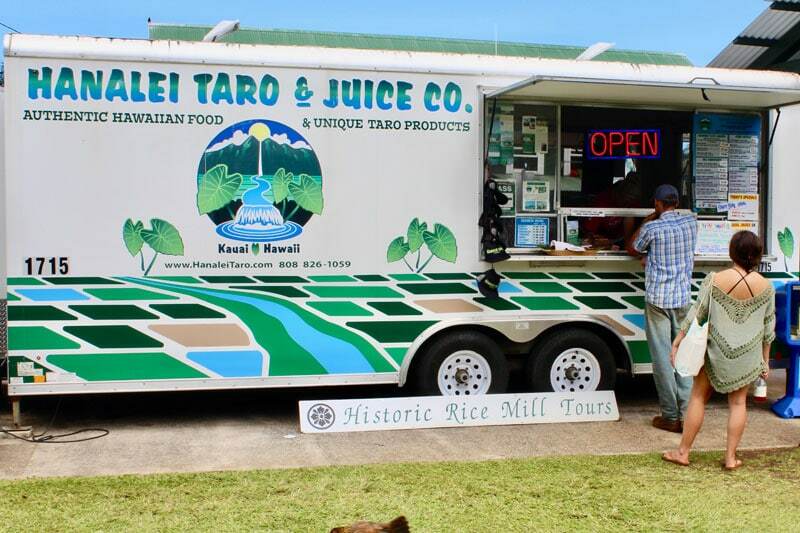 Taro Products from the farm include Taro Hummus, Taro Veggie Burgers, Taro Mochi Cake, and Taro Fruit Smoothies. 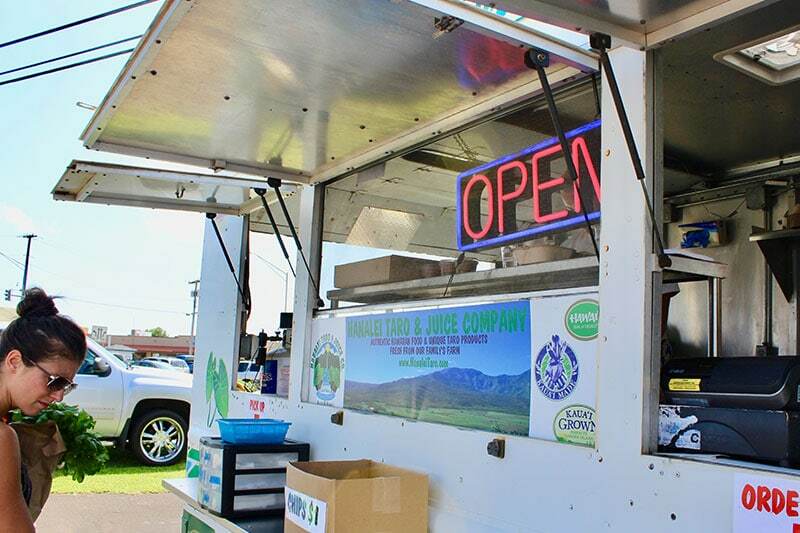 Find them at the KCC Farmer’s Market every Saturday (9:30am – 1:00pm) and on Wednesdays at the Kukuiula Culinary Market from 4-6 pm.